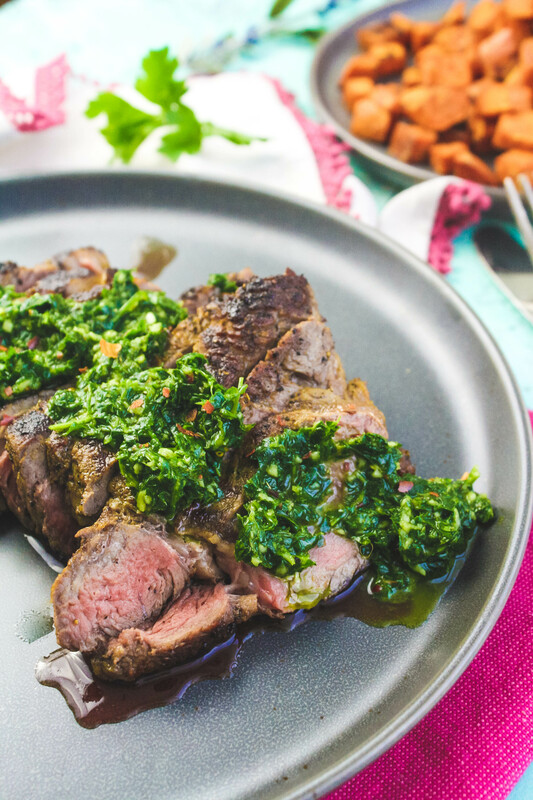 Skillet-Cooked NY Strip Steak with Chimichurri Sauce is a main dish you’ll love to share (or eat on your own)! 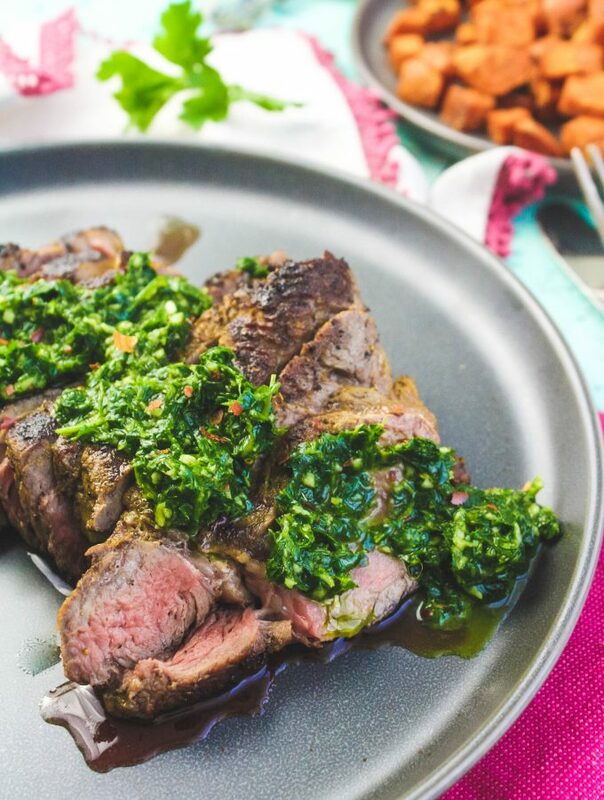 The color, flavor, and easy prep make it marvelous for any night of the week. 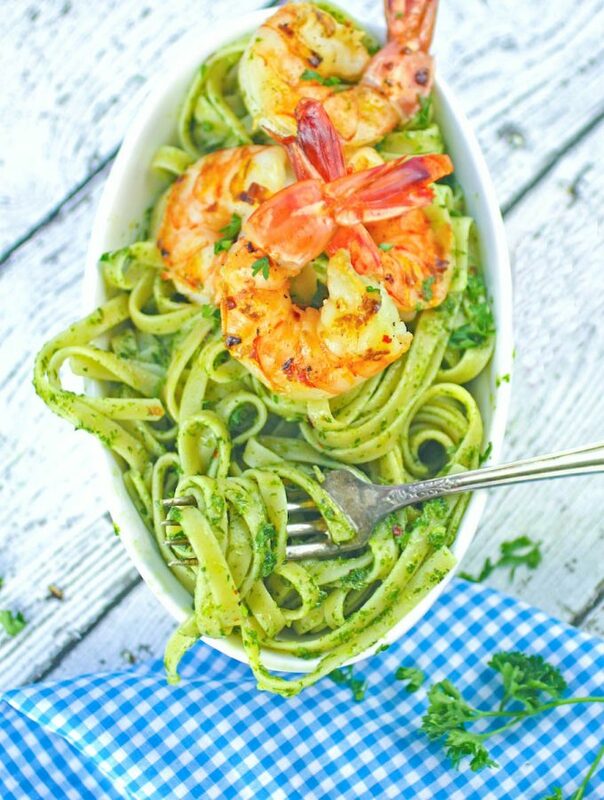 An emerald green, simple sauce adds the colorful vibe and flavor to Chimichurri Pasta with Grilled Spicy Shrimp. 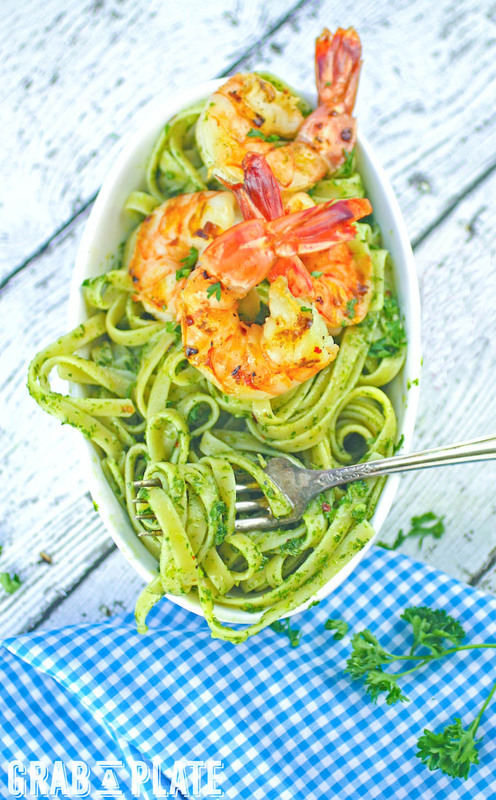 The simple ingredients in this dish prove that a mouthwatering meal can be so much easier to make than you think.